Some years ago I wrote a post called the Natural Advantages of Small Business. The topic is one that I’ve also delivered as a presentation for Chambers of Commerce and the like. 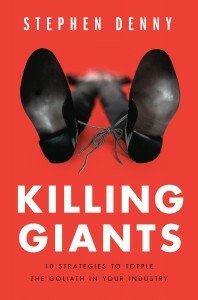 In this week’s episode of the Duct Tape Marketing I visit with Stephen Denny, author of Killing Giants – 10 Strategies to Topple the Goliath in Your Industry. If I were to sum up Killing Giants it would be this – Identify a competitor’s vulnerability and exploiting the heck out of it. Interestingly Denny’s research showed the speed and nimbleness isn’t the answer because, by itself, it doesn’t scale. Companies that use speed also make better decisions based on fact, not gut. 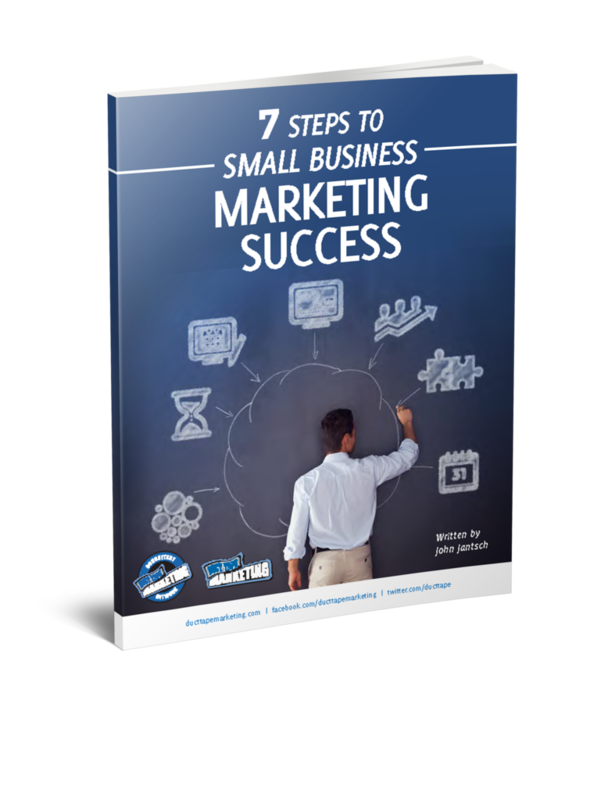 The book uses case studies to illustrate how successful smaller businesses took on giants in their industry to do just that. One of my personal favorite case studies is Method’s taking on Proctor and Gamble. Everyone thought Eric Ryan and Adam Lowry were crazy to start Method, a new cleaning products company. The category had long been dominated by P&G, Unilever, and Colgate-Palmolive. Those giants had so much clout with the retail chains that their soaps had barely needed updating for decades. But by taking advantage of its underdog position, Method carved out a very profitable niche: environmentally sound products in stylish, innovative packaging. Despite a far smaller marketing budget than their competitors, Method connected with a substantial minority of people who wanted to “buy green” but who also wanted high-quality products. Win in the last three feet. Leverage someone else’s investment—just be there the moment the customer grabs their wallet. Create “thin ice” arguments. Shift the conversation to places where the competition can’t—or won’t—go. Fight unfairly. Learn how the underdog can turn the tables, pick unfair fights and create awkward mis-matches.